Infantigo is a contagious skin disease that manifests itself as a simple lesion/sore on the face, particularly in the areas surrounding the nose and mouth. It affects children and adult, but 90% of cases are infants and children (2 to 6 years old) and so the name is infantigo. 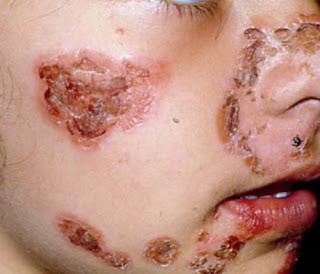 Other popular names for infantigo are impetigo, school sores, and impetigo vulgaris. Most cases of infantigo are mild and disappear on its own with a topical antibiotic and home remedies. Sometimes, treatment isn’t necessary at all. However, severe cases of infantigo need to be treated with oral antibiotics and a combination of other treatment modalities. Photo 1: A severe form of infantigo. Image 2: Honey-colored scabs surround the patient’s mouth. It starts as red, itchy, and painful sores around the mouth and nose areas. The sores are filled with honey-colored fluid, which pops in a few days and turns into scabs. Bullous – It is an infantigo commonly seen in patients 2 years old and below. The typical manifestations are fluid-filled blisters. The blisters are not painful but the area surrounding them can be extremely itchy. The blisters are mainly on the arms, legs, and trunk, but the itching causes the child to scratch the blisters and touch other parts of the body. Hence, there is a possibility that the blisters extend to adjacent parts of the body. Non-bullous – This is the type of infantigo that commonly targets the facial area. The sores around the mouth and nose are red that once broken turn to scab. The sores are itchy but not painful. On the lighter note, non-bullous infantigo does not leave marks on the skin. Infantigo is a highly contagious bacterial disease. It is caused by Staphylococcus aureus and Streptococcus pyogenes, bacteria strains that spread at a speedy rate. These bacteria grow and thrive in tight and small places such as in daycare and crowded living space. 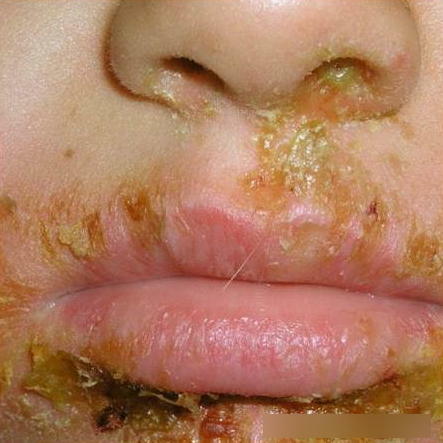 Staph aureus infection is prevalent in colder places while Strep is common in the warm and humid environment. You might be wondering how a child can pick up infantigo. Infantigo, is a highly contagious infection is spread through direct and indirect contact. A child may happen to touch someone who has an active infection or hold objects touched by an infected person such as a toy, towel, and the likes. It could also possible that the infection took place after an open wound. Staph and Strep are normally found on the surface of the skin and aren’t actually harmful. However, with favorable conditions, they could enter a skin barrier and cause infection. This is possible if the child has an open wound, severe insect bite, scratch or a pre-existing skin condition such as cold sores and eczema. It is important for people with infantigo to seek immediate treatment. Without treatment, a patient may remain contagious until the infection completely goes away. If antibiotic treatment is started, the lesions will clear up in a day or two (24 to 48 hours). It is a sign that the patient is no longer contagious. Photo 3: The commonly used antibiotic cream for impetigo. 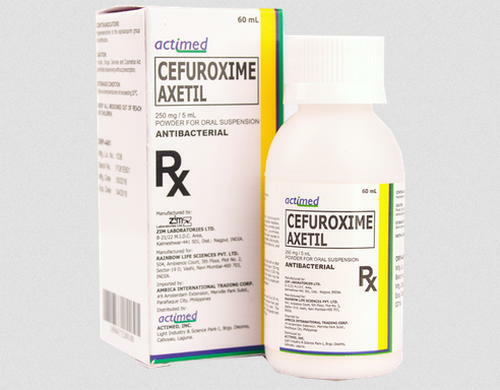 Image 4: An oral drug used to treat bacterial infection like infantigo. The treatment for infantigo is comprised of three things: topical antibiotic, an oral antibiotic, and natural remedies. For localized infection, a topical antibiotic and natural remedies can help clear up the infection.